Alan Kay, computer scientist and futurist, imagined technology coming together in what may be considered the modern-day notebook. While working at Xeorox Parc, Alan imagined the DynaBook, an affordable personal computer that provided connectivity and interaction that would augment work and learning. 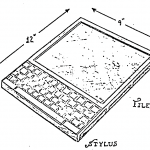 The concept was unprecedented in 1972 when he wrote, “A Personal Computer for Children of All Ages – Alan Kays” which described modern laptops or slates. The writing was inspired by technological trends at the time pulled together with a very inventive imagination. 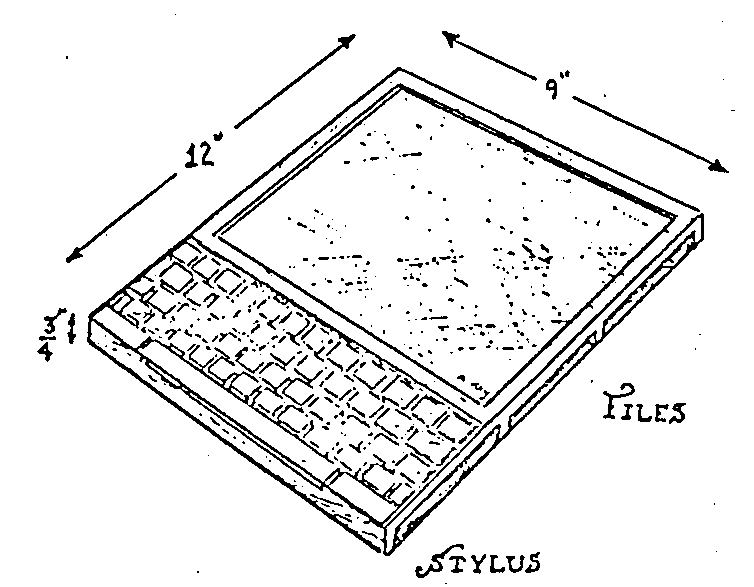 “Of course the keyboard should be as thin as possible. It may have no moving parts at all but be sensitive to pressure, feeding back a click through the loudspeaker when a successful press has taken place. Keyboards of this kind have been available for several years. Once one has gotten used to the idea of no moving parts, he is ready for the idea of no keyboard at all! It is amazing how much of the technology we take for granted was the worthy vision of the future. The entire piece is worth of read.